Hayward is the leader in the swimming pool industry from parts, pool cleaners, pool heaters, filters and swimming pool pumps. Hayward has been serving homeowners and commercial pools for over 80 years. Their inventory is impressive and all of their pumps are efficient and reliable. These days with homeowners trying to save as much money as they can without losing luxuries such as their swimming pool, they are looking for more cost effective methods to run their pools and that includes changing their old pumps for more efficient and cost effective pumps. That is where Hayward comes in; they have a full line of swimming pool pumps that will change your outlook on swimming pools. But there are two pumps that stand out, the Hayward Super Pump and the Hayward Super Pump II. These are two of the best in the swimming pool industry. 9 out of 10 homeowners will tell you that they have a Super Pump running their pool filters. These pumps are not only cost effective but they require very little maintenance. 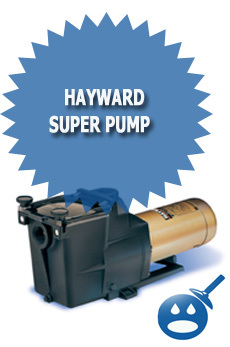 The Hayward Super Pump offers a dependable, reliable, efficient service. The Super Pump has a larger capacity for debris than other pumps. Hayward engineers only use the most advanced technology with cost effective designs to bring to you supreme operation and maximum savings. The Hayward Super Pump is designed for maximum operation on in-ground swimming pools and in ground spas. They have a self-priming feature that can suction life up to 8 feet above the water level. The Hayward Super Pump has a see thru strainer so you can see how full the basket is getting. Keeping on top of that can really save you money on repairs as well as time on maintenance repairs. With the 110 cubic inch strainer basket, you can space out the time that you normally check your basket if you were using another brand’s pump. All of the parts on the Hayward Super Pump are made from a corrosion proof material that uses a reinforced thermoplastic that will protect the pump long and in return the pump will have a longer life span. The Hayward Super Pump has 6 different size pumps, ranging in horsepower from 1/2 horsepower to 2-1/2 horsepower. The voltage ranges depending on what model that you choose to use. The voltage is either a 115-volt, a 120-volt or a 115/230 voltage. 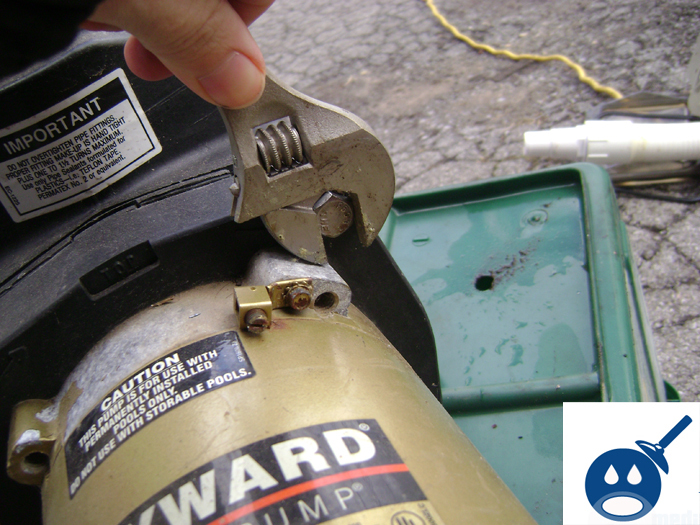 The Hayward Super Pump has a pipe size of either 1-2/2″ or 2″. The Hayward Super Pump is priced around $250 to $600 depending on where you get the pump and what model you choose. The Hayward Super Pump II offers a fully rated, high performance pump that has advanced technology such as a full flow hydraulics that provide the pump with a better flow of water without the high cost of running the pump. All parts on the Hayward Super Pump II are constructed with a corrosion proof thermoplastic, giving the pump better reliability and a longer life. The Hayward Super Pump II has a heat resistant industrial size seal that is best used for continuous running pump. The Hayward Super Pump II is best used for in-ground pools, no matter what shape or size. The Super Pump II works in conjunction with most in floor cleaning systems, solar cleaning system, heating systems and water features such as waterfalls. 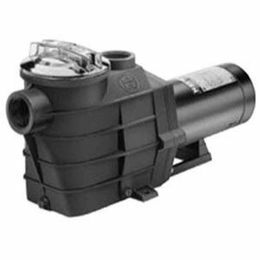 This pump works well in in-ground spas or in-ground pool and spa combos. The Super Pump II was designed to help keep service easy and accessible, with the easy to access to all of the components. The pump also comes with a Pump Lid removal tool. There are 16 different models in the Super Pump II Series. They range in horsepower from 3/4 horsepower to 3 horsepower. The pumps are divided in dual speed pumps and single speed pumps. The voltage on the Dual Speed pumps is 230 with a pipe size of 2 inches. The Single Speed Pumps have a voltage of 115/230 or 230. The pipe size ranges from 1-1/2 inches to 2 inches. The Hayward Super Pump II ranges in price from $300 to $700. The price will depend on the horsepower and the model you choose. Both the Hayward Super Pump and the Super Pump II offer better performance than other pool pumps, their larger capacity baskets help with more efficiency as well as they save time by not having to clean out the basket every day. 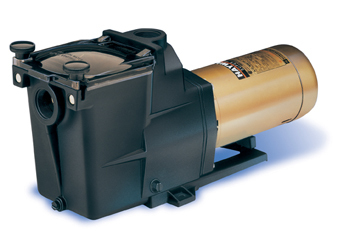 These pumps are compact they will work with any filter. If you want a strong and high performance pump then the Super Pump is for you. But if you are looking more for a stronger pump that can provide maximum performance with very little maintenance then the Super Pump II is for you. It is noisy and not in the least bit stealthy. It does vibrate. Don’t mount it near a room that needs to be quiet or it will drive you nuts with noise and vibration. Don’t use it if the houses are close together or your neighbor will complain about the noise. Pump is fairly strong, but will leak after about 4-5 years of daily use. Expect to change the electric motor after about 3-5 years of service. 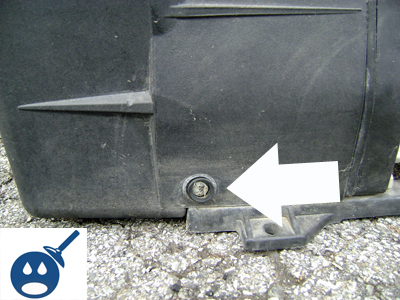 if you encounter a leak and the case has not cracked, try installing Hayward rebuild kit SRX3000TRA that replaces the seal and a couple of key gaskets. Have had several Hayward pumps. Never lasted more than two seasons. In July 2008 I had Polynesian Pools install one thinking I was doing something wrong. I was loosing water recently and found the seal on this one failed again. With past experience next to go will be the motor bearing. Contacted both pool company and Hayward. No simpathy from anyone. Just quoted me the warranty. which is perfectly timed with failure. Never again will I buy Hayward junk. By the way buy American, these are made in Mexico. of this webpage; this website carries amazing and really good material designed for readers.